Carrie was born November 22, 1925, in Gaston County to Audie and Myrtle Metcalf Hallman. She was married to Glenn David Willis for 64 years. Glenn preceded her in death in 2010. Carrie was also preceded in death by her sister, Wilma Henkle, and brothers, Fred Hallman, Ralph “Ikey” Hallman and Earl Hallman. She is survived by her son and daughter-in-law, Rick and Joy Willis of Apex, North Carolina; her sister, Mary Lou Sherrill of Red Springs; brother, Bob Hallman of Kannapolis and numerous beloved nieces and nephews. She lived most of her life in Cherryville, working nearly half a century at Carlton Yarn Mill. 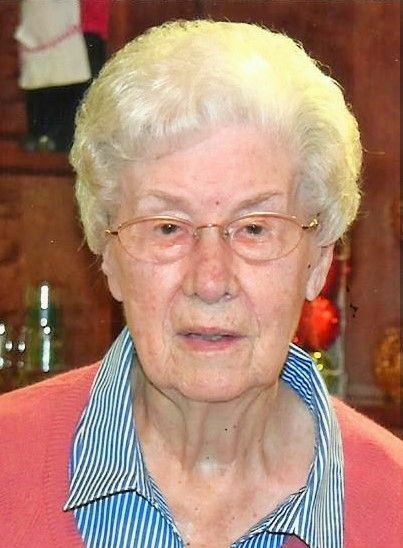 She was a long-time member of the First Presbyterian Church of Cherryville, where she served on the Care Team, visiting homebound church family or those in nursing care. She was most recently a resident of Spring Arbor Senior Living of Apex. Her family would like to thank the staff of Spring Arbor and Transitions LifeCare of Wake County for the love, care and attention she received. Carrie was a loving and sweet person who found her greatest pleasure in spending time with family and friends. Funeral services will be held Saturday, April 13, 2019 at 3 pm at First Presbyterian Church on Academy Street in Cherryville. Visitation will precede the service at 2 pm in the church sanctuary. Burial will follow at City Memorial Cemetery. Memorials may be made to First Presbyterian Church, 107 Academy Street, Cherryville, NC 28021.